Many many many thanks again! Hey! It's finally up! Glad you enjoyed them :) I made a mistake though... 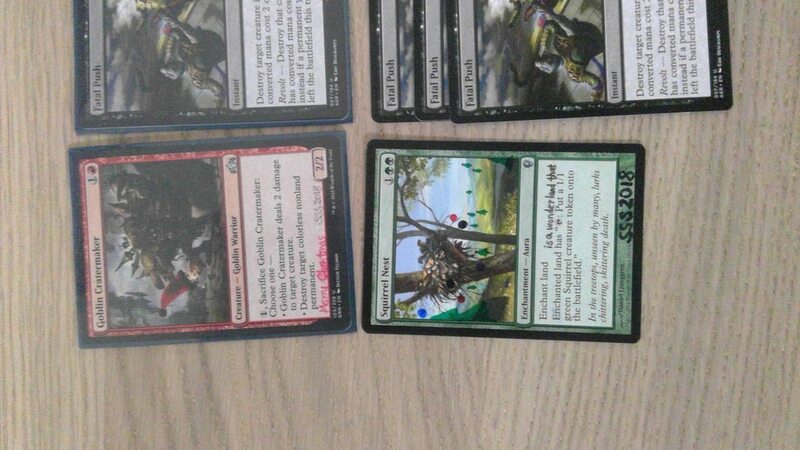 I forgot to credit my friend Katie who did the Brainstorm alter for me in the letter! So props to her for that! I just received the sweetest package of the year! 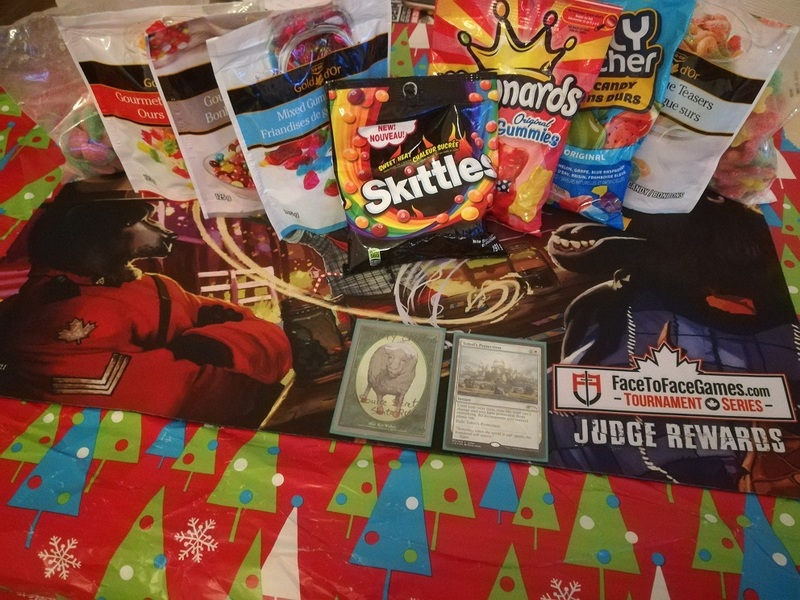 You are awesome to take the awkward role gifting the organizer, then work without a wishlist or recent posts indicating deck preferences. I just came to know the card Teferi's Protection and realised how big it is in EDH. Also found a 5-0 Legacy Angel Stompy list to accommodate it! The real surprise, 9 packages of candys, weighing 2 kilograms! You totally upped my wife's perception on my hobby to the next level I believe by the candys, you convinced the customs to get the package through as I found the wrapping paper opened and stacked carefully back on top. I just lazily put a piece of paper in top of the stuff so dont think customs hit it. Also glad you like the matt. So here's (finally) the pictures of the cards I got from our gracious host. The ones in the sleeves are already in my cube, which I'll be drafting with some friends next week . Looking forward to see how the new cards do. 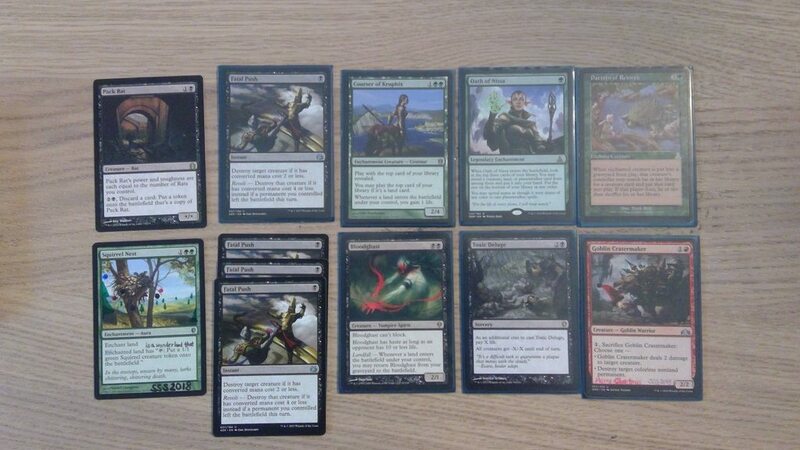 Some drafting on cube tutor already gave me a positive impression on the cards! Edit: Finally… I still really hate Imgur, but it works now. Sorry to take so long with this, and THANK YOU SO MUCH PIRATEKING! I'm super thrilled with my SS gift. 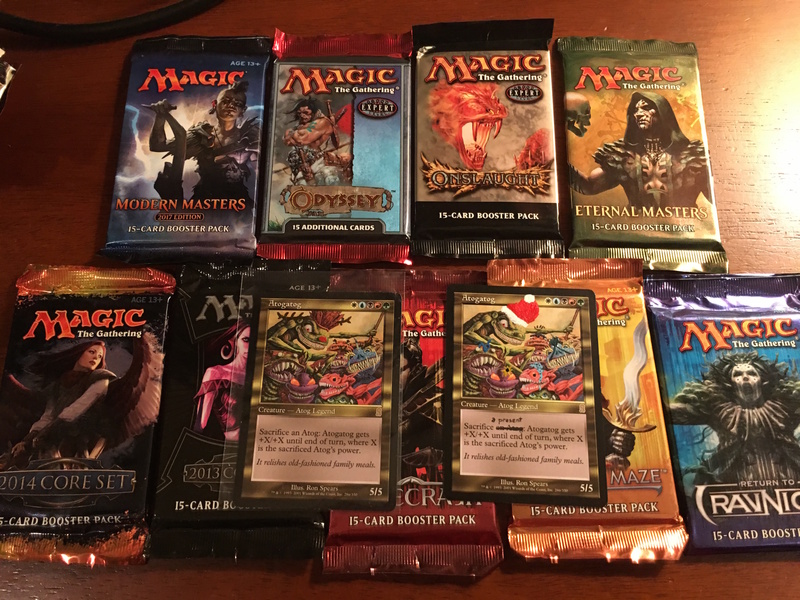 I'm super excited to draft these with my friends soon! Thanks so much! "The last top 8 slot went to the winner of that Death and Taxes mirror, or as I like to call it, the White Supremacy Mirror. "Swiggety Swagtusk, Here comes the Thragtusk!" In response to "What's the best replacement for Force of Will?" Looking forward to the next Christmas, and I will write a message here to invite our next organiser! It's difficult to tell through the photos (and my lack of artistic skill), one Atogatog they're all reindeer and the other he's Santa and they're all presents. Hope the medley of packs nets some good pulls. Enjoy! What kind of marker did you use to draw on Magic cards? I was still using the super basic Sharpies.